Africa50, in partnership with Energy Futures Initiative (EFI) has announced the U.S. launch of the gas report Investing in Natural Gas for Africans: Doing Good and Doing Well during a ceremony held yesterday at the Atlantic Council Headquarters. In June 2018, Africa50 commissioned a report from EFI to analyze the opportunities and benefits of natural gas development in Africa. The study explores the scale of potential domestic demand by mid-century, and the technologies that can help increase this demand and the concomitant supply and infrastructure. Speaking at the ceremony, former U.S. Secretary of Energy and EFI founder, Secretary Ernest J. Moniz, said in his opening remarks: “Natural gas development in Africa is a major opportunity for addressing multiple needs: economic needs, health issues and indirectly women’s empowerment and environmental needs.” He added that Africa was the most dynamic continent in terms of growing middle class and developing economies and that the development of natural gas required an integrated approach with huge investments in urban and rural infrastructure. He commended Africa50’s efforts in helping the continent attract such investments”. 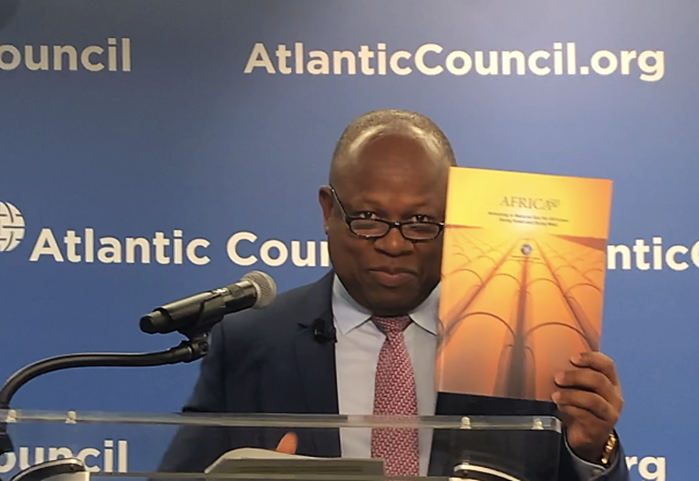 Africa50 CEO, Alain Ebobissé added: “With over 7.5% of the world’s known gas reserves, Africa is sitting on another natural resource bonanza, which can power its industrialization and sustainable growth. African countries must develop domestic gas reserves and infrastructure and secure reliable imports via pipelines or Liquified Natural Gas to fully profit from this tremendous opportunity. We are actively looking for partners that will co-invest with us, including in innovative technologies, to help develop the continent’s natural gas industries”. The event concluded with a panel discussion featuring Andrew Kamau, Principal Secretary in Kenya’s State Department of Petroleum; AlainEbobissé; and EFI Managing Principal Melanie Kenderdine.